Historic facade of the Guelph Montessori School. The Montessori elementary curriculum expands and builds on the primary experience. The children have free play or recess for an hour after lunch each day. There is no recess during the morning. This system allows three hours of uninterrupted work time which helps to develop concentration, as the children are able to stay at their chosen work activities for extended periods of time. 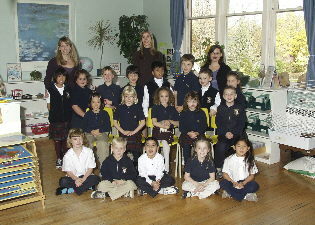 The classroom offers a warm environment for children to learn and develop. They are respected as active participating members and are encouraged to share in the responsibilities of its care. Class meetings allow expression of thoughts, ideas, feelings, and discussions involving current events. Montessori graduates feel they can make a difference in the world.